Across the country, universities everywhere are becoming battlegrounds for racial politics and agendas. For every loud proponent of “agreeing to disagree” that surfaces, there’s a group of black students who don’t enjoy the privilege of choosing to be moderate. Follow the stories of black student leaders Miles Iton, Jaren Stewart, Delmar Fears, Devontae Torriente and more in Sincerely, the Black Kids, a documentary of triumphs and tribulations that prove sometimes it IS because you’re black. 出來面對 - IN YOUR FACE! 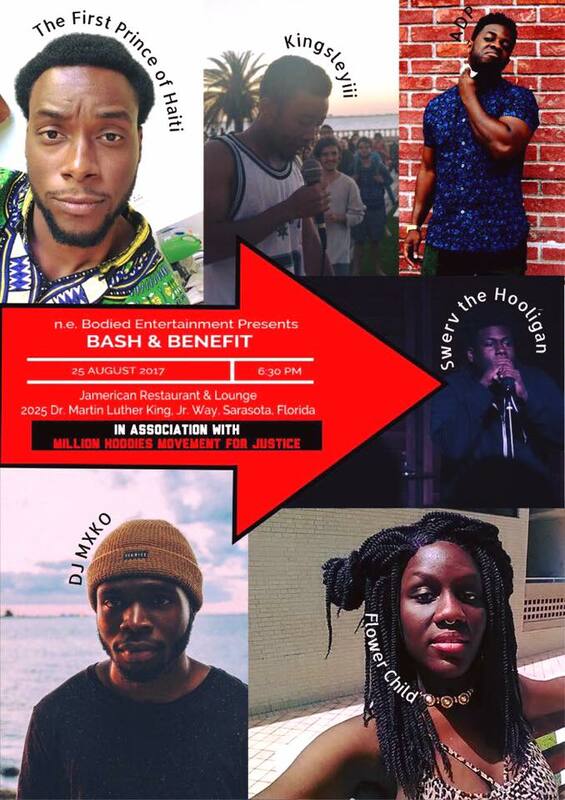 Freestyle & Floetry Tutorial is a bi-annual hip-hop studies seminar held offered at New College of Florida, facilitated by and featuring students and local artists. The first and only course of its kind in the liberal arts, students spend the semester composing works of their own while unpacking the history and societal implications of the classics that have seen us through to today. n.e.Bodied Ent preaches what we practice! We've presented our research behind the Freestyle & Floetry course at several conferences and community panels. Recently, we've partnered with the Arts and Cultural Alliance of Sarasota for summer teaching workshops for elementary and middle school age students. A summer school program is also in the works. Getting the people together is what we do! n.e.Bodied proudly partners with friends in the community to assist with benefits, party planning, etc. Past collaborations include Youth Artists Network, the Jukeboxx Movement and West Florida's YC Collective, among others.